Unintentional drug overdose is now considered to be a leading cause of preventable death in the United States. Administering naloxone hydrochloride (“naloxone”) can reverse an opioid overdose and prevent these unintentional deaths. Naloxone is classified by the U.S. Food and Drug Administration as a prescription drug, therefore there are laws that govern both how it may be administered and by whom. In general, each state creates its own laws about who can prescribe drugs, as well as what the standards and processes are for prescriptions. In 2013-2014 alone, 20 states passed laws governing naloxone access. States may allow legal immunities for both health care professionals and lay persons who administer the drug. Click here for the Drug Policy Alliance’s map showing which states have naloxone access laws. Pennsylvania is one of the states with a naloxone access law. Opioid Overdose Reversal ACT 139 allows first responders (law enforcement, fire fighters, EMS), or other organizations acting at the direction of a health care professional authorized to prescribe naloxone, to administer the drug to individuals experiencing an opioid overdose. 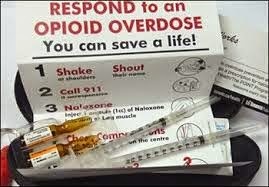 The law also provides immunity from prosecution for those responding to and reporting overdoses. Additionally, individuals such as friends or family members in a position to assist a person at risk of experiencing an opioid related overdose may receive a prescription for naloxone. Click here for more information about Pennsylvania’s new law on the Department of Drug and Alcohol Programs (DDAP) website. Click on the red “Save a Life” banner in the middle of the page. One of the links on this page provides a list of Pennsylvania pharmacy locations carrying naloxone; this list is expected to grow as the demand for the medication increases. In addition, some pharmacies will fill prescriptions by mail. We discussed this in our group yesterday. 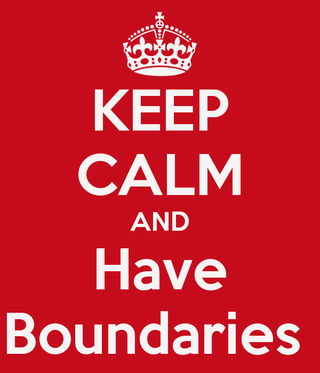 This post attempts to differentiate between the two types of boundaries with consequences. Mom: If you can't keep your car legal, insurance paid, registration renewed etc., we will take your car keys and put a club on the steering wheel of your car. Teen: But how will I get to work? Mom: Well, yeah, this is going to be a major inconvenience for you. I'm not sure what your back up plan for getting to work would look like. Let's call the first type a Conditional Boundary because the consequences of the parent are conditional on the teen violating his home contract. This approach can work well as long as you have sufficient credibility with your teenager so that he believes you mean what you say. If however, you have not followed through with boundaries before or if your teen has simply acquired a great deal of power, then you may be better off with the second type of boundary. The second type makes more sense when you're teenager isn't likely to take you very seriously. Perhaps he has you walking on eggs already so you set a boundary that involves some action that shows rather than states that you mean business. Mom: Your father and I have have to let you know about some things, and you're not going to like this at all. Teen: Forget it. I'm not talking. Get out here. I'm busy. Mom: This is the living room and I live here. Teen: I don't care. I'm watching South Park. I don't have time for this crap. Mom: We are not comfortable letting you use the car right now, and so we used our key to put a club on the steering wheel. Teen: What? You can't do that! [raising voice]. I'll f&^% up your car if you do that to mine! Mom: Hold on, [using the universal sign for stop by placing her hand open palm up in the air.] We expected that you're going to be really angry about all this and we asked Officer Brown to come over the house to help explain some things to you. Teen: What??? I'm not talking to him! He can't come in here like this; I haven't done anything wrong! Mom: Well, you're right, you haven't acted on your threat to damage our car but he's here because I invited him. [Mom raises voice and yells into the hallway] Come on in Officer Brown. Officer Brown: Hi Jamie, how are you? Teen: [changes demeanor entirely to one more polite] Hi Officer Brown I haven't done anything wrong. Can you tell my parents please that they can't just put a club on my steering wheel? That's car theft, right? Officer Brown: Yes, it would be car theft if your parents took your car without intention to return it to you, and it would be Unauthorized Use if they just took your car for a ride without your permission. That's not what's going on here. Jamie, I checked your car out and I don't see a current sticker on your license plate or a current inspection sticker on your windshield. You're looking at a pretty substantial fine if you get caught. Teen: I know, I know already. I take my chances. Mom: Yes, and we are taking our chances too. Officer Brown, Jamie just said that he would f&^% up our car if we don't take the Club off of his steering wheel. Officer Brown: Oh Ohh. That's a threat to commit a crime. Jamie, did you mean it when you said that to your mother? Teen: I was just mad. I didn't mean it. Officer Brown: I'm glad to hear that Jamie because now that you and your mother have gone on record about this threat, if anything happens to their car while it sits at home you're going to be number one suspect and I might have to come back and charge you with Criminal Mischief, 18 Pa. 3304. If the damage is over 5,000.00 it is a Felony of the 3rd Degree and it is a Misdemeanor of the 2nd Degree if the damage is over 1,000.00. It's a Misdemeanor of the 3rd Degree if the damage is over 150.00. For example, a new paint job if required to fix the damage can easily put the charge at over 1000.00. Teen: Tell them they can't put a club on my damn car. Officer Brown: Parents have not just a right, but a responsibility to take action to keep their children safe and also disciplined. But if you want a hearing on this, I'm in court this Monday before Magistrate Smith, and I'm sure you can come down and talk to him about whether you parents have the right to stop you from driving your car and violating the law. You can argue that it's your right to violate the law and drive your illegal car. Teen: Oh yeah, sure that makes sense! [rich with sarcasm and rolling of the eyes]. Officer Brown: One last thing Jame; your parents have told me about how you get mad and put holes in the walls. They get scared when this happens of course and you threaten to kill them and say all kinds of stuff that I'm sure you don't mean. That would be Criminal Mischief and we already talked about that, but it's also Terroristic Threats. 18 2706. Under subsection (a) [Officer Brown is reading this] this constitutes a misdemeanor of the first degree unless the threat causes the occupants of the building, place of assembly or facility of public transportation to be diverted from their normal or customary operations, in which case the offense constitutes a felony of the third degree. Also, Terroristic Threats is a charge to which it is incumbent upon the officer to request admission to Shuman Center if he believes that there is a real threat and that somebody might get hurt. I just thought you should know that. Teen: I'm not going to cause any trouble. But I need to get to work. Mom, can't you loan me the money to get my car inspected and my insurance reinstated? Mom: Jamie, if you can pass a urine screen and begin to treat dad and I with respect we will consider helping you out. If not, then no, we don't even want you driving. Officer Brown: You mean you suspect that Jamie is using illegal substances? Teen: That's it. I'm moving out. Officer Brown: [looking at mom] At your request Ma'am, I can come back with the drug dog and we can see what Rover thinks of Jamie's' room. Let's call this second type of boundary, a Peremptory Boundary because it preempts some type of trouble and shows the teenager that you mean business in addition to telling him that you mean business. In a way it can be seen as the act of a desperate parent who knows that he has lost a great deal of power. On paper Conditional might be better than Peremptory. It is generally good to discuss consequences ahead of time. It is certainly a good thing to discuss expectations ahead of time. However, when a teenager has taken so much power that he is calling all the shots, then Peremptory makes more sense because your teenager isn't going to believe you when you use Conditional anyway. In our most recent PSST parents' support group meeting, we talked about how easy it is to let our fears and worries about our addicted children consume us, dominating our thoughts and conversations to the point that we are driving ourselves (and possibly our partners) crazy with fear and worry. One of the parents said that she is actively working on taking back her own life by “stopping the obsession”. We were reminded of how the airlines tell passengers that in the event of an emergency, they should put on their own oxygen masks before putting on the masks for their children. As parents of addicts, we need to take care of ourselves by changing our internal and external dialog. 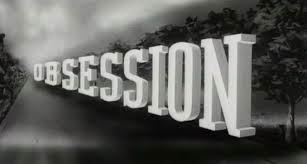 When an obsession dominates us, it steals our will and saps all the pleasure out of life. Obsessions can paralyze us . . . We lose touch with ourselves, our feelings, and our ability to reason and solve problems. The more we’re obsessed about someone else, the more of ourselves we lose. The month of April is designated as Alcohol Awareness Month to bring the progressive disease of alcoholism to the forefront. Many of us have experienced, first-hand, the insidious ravages of alcoholism that devastate and even destroy families and relationships. Until the establishment of Alcoholics Anonymous in 1934 by a courageous alcoholic named Bill W., there was no help available to those fighting a losing liquid battle. He was the mainstay who solidified sobriety for millions of men and women who are clean and sober today through following the 12 Steps of the Alcoholics Anonymous program. Please use this month to become more vigilant to invisible signs that may signal that an intervention is needed in a drinker’s life. The following is a 20 question survey that may help you or others determine if one is slowly staggering toward the road to alcohol addiction. -If you have answered YES to any one of the questions, there is a definite warning that you may be an alcoholic. -If you have answered YES to any two, the chances are that you are an alcoholic. -If you answered YES to three or more, you are definitely an alcoholic. Show your support by being their support! Accompany the person to their first AA meeting. 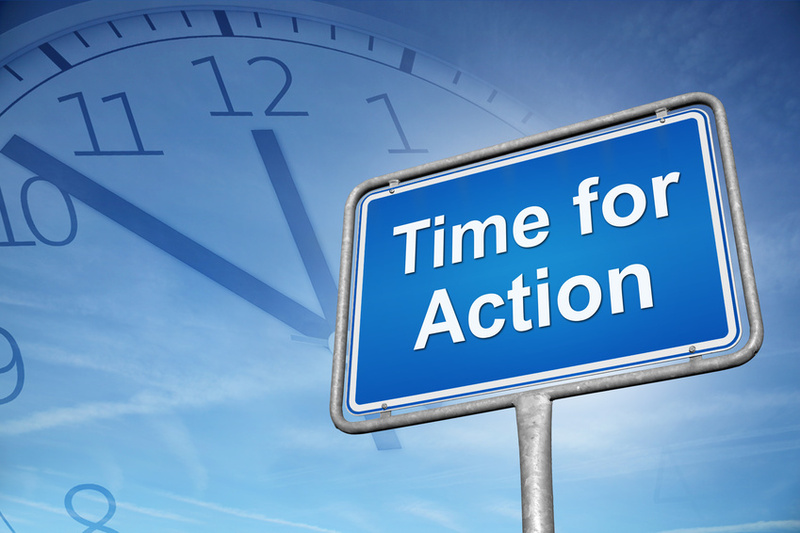 If you are in the greater Pittsburgh area, find a meeting listed here. For meetings anywhere in the U.S. or Canada, check out this link. 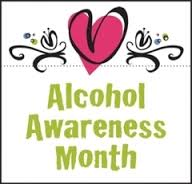 The month of April may become their first step toward sobriety, as you purposely help to save their life. “To the world you may be one person, but to that one person you may be the world.” ― Bill W.